How are your personal, daily, invigorating quiet times going? Are you a spiritual rock star who prays without ceasing, who rises before the sun every morning to pray and meditate, who memorizes large passages of Scripture and takes notice of the Holy Spirit in every situation? If so, I want to be more like you and you can stop reading. The rest of us, however, seem to go through seasons of feast and seasons of famine. Times when we are excited and eager to read the Bible and pray and talk to everyone we meet about Jesus and times when we get caught up in going to school, buying houses, raising kids, and the day-to-day. I am a FTM (First Time Mom, for those who do not frequent the motherhood websites). My precious baby girl just turned six months old and I have a confession to make: she has rocked my schedule and routine. Before she came along I was a machine. I love change and adventure but wherever I find myself I dream big and develop daily habits. I need routines to be successful so my morning coffee, quiet time and exercise get drafted into my day whether I am living in the middle of the tropical rain forest or working a 9-5 in Denver. However I was not prepared for this life-change they call motherhood. My pregnancy was a difficult one that left me on bed rest, sick and delivering a month early. You can read more about that here. And after a week in the NICU when we brought home our five pound baby who needed to eat every two hours to thrive, I had no dream or plan of a schedule. I existed in a fog, trying to keep both of us alive. I have a confession: I did not want to read the Bible. I know, you are shocked. How can a person call herself a Christian and say that she does not want to read the Bible or have a quiet time? I’ll tell you how: I had grown so accustomed to my hour-long routine of study, prayer and sermon listening which was concluded in another hour of blog writing that I thought anything less was not worthy of my effort. Quite honestly it sounded exhausting. A well meaning friend asked me how I was adjusting Spiritually after a month or so and I confessed to her that I had been neglecting my routine. She spoke some beautifully comforting words to me: give yourself some grace. You see, I am an academic at heart. I love to study. And as such I have always struggled with prayer. I trust the sovereign plan of God and prayer often feels like lip service because He already knows every hair on my head and every intention of my heart. But the moment I found out I was sick and that my baby was in danger, my prayer life radically changed. I prayed. And I cried. And I prayed. And I cried some more. Then we watched our little baby in the NICU and we prayed some more. We prayed. 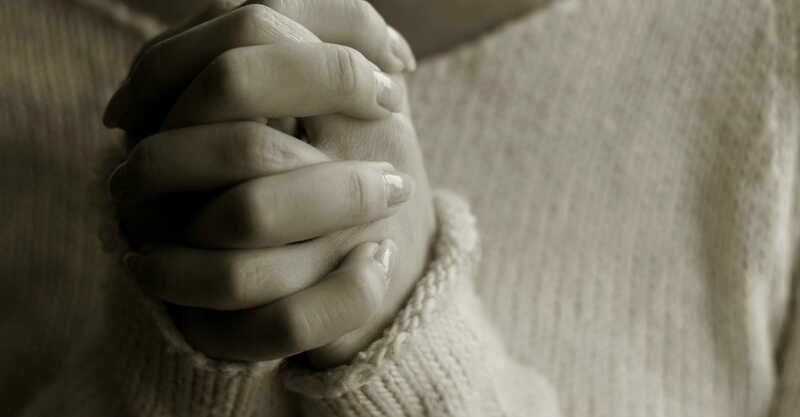 My husband and I have tried (and failed) for two years to develop a prayer routine in our marriage, but the minute she was born we locked into a beautiful habit of regular prayer together. Our Spirituality and our relationship with God must grow and develop. It is not static, and God is not interested in providing us salvation from Hell apart from a relationship with Him whereby He changes and refines us. I was growing in my prayer life. And I knew that I wanted to develop good habits and set a good example for my daughter. Have you heard that routines are good for babies too? So what did we do? For the next few months, my daily quiet times were made up of reading Bible story picture books with my daughter who seemed to enjoy looking at the colors and pictures. But God was faithful and spoke just as dynamically to me through “Noah and the Big Boat” as the study on Hebrews I did last year. We need to be coming to and relying on God for our joy, for our strength, and for our comfort. We need to be confessing our sins to Him and rejoicing in His forgiveness. We need to be changing. But remember to consider your circumstances and seasons. There will be times when you have an abundance of energy and time to spend hours in deep study. There will also be times when you have to wake up every two hours to feed an infant and cannot think beyond putting on a house coat. God is gracious and wants to meet with us and encourage us in all of those circumstances. He might even get as bored with our normal routines as we do! He will sustain us differently in these different seasons and in the ways we approach Him.